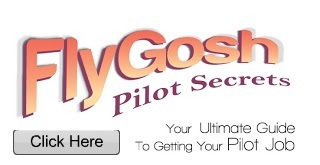 Below are the interview process & stages of Fly Scoot shared by one of my reader. 1. Once you are arrive at the venue, you are required to register yourself and you will be given a number and your personal file. At this stage they will also measure you height. 2. In a group of 10, each will be asked to pick an envelope, inside it will contain one word (Eg, Medicine, Rock & Roll, childhood, Iphone, Shanghai etc), then you will be given 2mins to prepare for the 2mins presentation based on the word that you get. (I think this round they want to see your confidence and how you present yourself). Those who pass will proceed to the group discussion. 3. In this group discussion, you will be divided into groups of 6 or 8. A board game will be given and you and your team mate will have to figure out how to play it. (The staff will be seating with you and observe every one), those who are successful will proceed to the next stage. 4. If you pass, you will proceed to another group discussion again. They will post more question and we are required to discuss about it as a group. (Almost same with Jetstar, they will ask for example if you are trap in a forest and you can only bring 7 thing out of 16 what will you choose, thing like, campass, map, knife, food, phone, etc,), those success will stay. 6. Final round, 1-1 interview with the head of cabin crew. 7.Once it is done, finally you can go home and wait for their notice. Those who are successful, they will call and email you to do a profile test. If you pass , they will call you for a contract briefing & medical exam etc. The stages above are not in order, as I heard that the 1st recruitment, they do English and math test first.